Agricultural college Kingston Maurward recently became listed as an official pre-Olympic training camp for the 2012 Olympics. It wanted an event that would help its cause when approaching international teams about using it for pre-Olympic training. 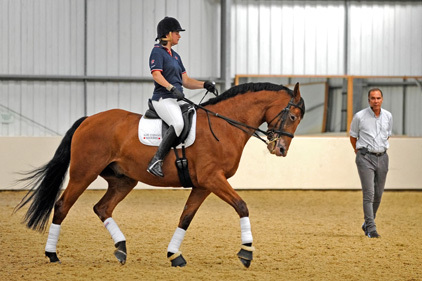 Watershed PR decided to showcase the college's international-sized indoor arena through a dressage event with two-time Olympian Dutch trainer Bert Rutten. The PR team persuaded the notoriously difficult-to-track-down Rutten to give two days of masterclasses at the centre. More than 70 professional riders were invited alongside amateurs and the event was publicised on Facebook, through equestrian press and through local and regional media. Sponsorship of £1,250 was given for the event, which generated a small profit for the college. Footprint Communications helped launch the New Forest Nappy Network, a not-for-profit network to promote ecofriendly nappies, and relaunch a commercial nappy laundry service called Nappy Bliss. The PR team worked on branding strategy and straplines as well as copywriting for campaign materials and media relations. A Facebook page and Twitter feed were set up. The story was covered in local and regional media. The nappy network is now connected to 185 individuals and organisations via social media. Southampton Solent University had a problem with negative publicity over the amount of waste generated by students as they moved out of student accommodation. To tackle the issue the university bought an old milk float and turned it into 'Ernie the eco-float' run on a battery and named after the iconic character created by Benny Hill. Ernie was enlisted to 'do the rounds' and collect textiles and recyclable waste from student accommodation, while volunteers talked to incoming students about responsible waste management. Collected items were reused where possible. The project saved nearly five tonnes of CO2 emissions and is being rolled out to other organisations.